•	Taking £80,000 per annum, capable of much more! •	Gross profit shown on accounts as 89%. •	Only opens 1st March – 7th November. •	11 ensuite bedrooms, dining room and residents lounge. •	Marvellous private owner’s suite with lounge, day room and double bedroom. 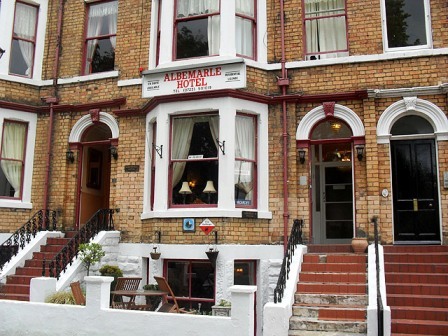 •	Occupies an enviable position in the delightful East coast town of Scarborough. •	Near Peaseholm Park & yet close to Scarborough town centre and the beach. •	Owners wishing to retire. Business and freehold properties of this calibre and local are the exception, therefore we strongly recommend early inspection,even for the most discerning of purchasers, in order to avoid disappointment.